Jeffrey Cirio joined the American Ballet Theatre (ABT) as a soloist a year and a half ago and was promoted to a principal dancer after a year, but when the 25 year old took up ballet at age nine after watching his sister, he did it because he wanted more friends. it wasn’t until the age of 14 when Cirio watched a video of Fernando Bujones dance titled “Winning at Varna” that he was finally inspired to dance seriously and participate in competitions. 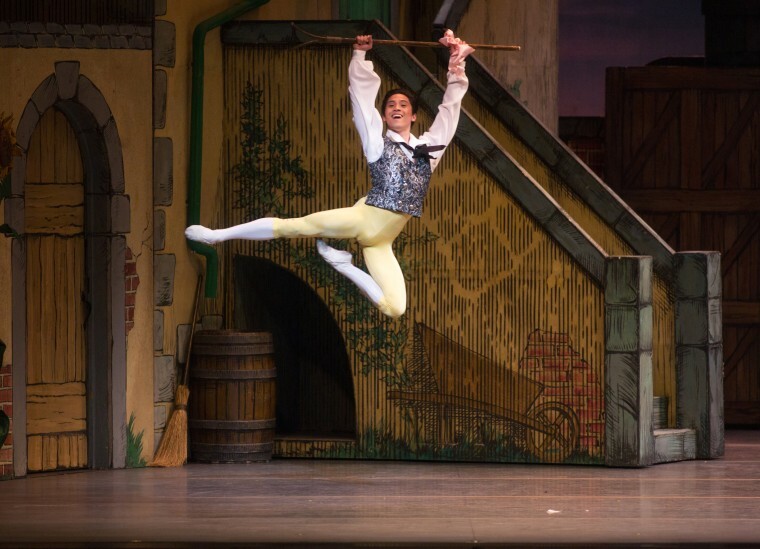 When he was 16 years old, Cirio became a trainee at the Boston Ballet School and joined Boston Ballet II, a two-year program for rising dancers, during the 2007-2008 season. After completing a year of the apprenticeship, he left temporarily to go to the Orlando Ballet School to train under Peter Stark and Oliver Munoz because he felt too young and unexperienced to dance professionally. In 2009, Cirio returned to Boston Ballet as a corps de ballet member, dancing with his older sister, Lia Cirio. In 2010, he was promoted to second soloist, and in 2011 to soloist. He became one of the company’s principal dancers in 2012. After performing as a principal dancer at Boston Ballet for two years, Cirio said he was in need of a change. He felt like he had gotten stuck and was too comfortable, he said. In February 2015, Cirio auditioned at American Ballet Theatre and spoke with Kevin McKenzie, the company’s artistic director, to discuss whether or not coming to ABT was the right choice. McKenzine told Cirio that, while he was a principal dancer in Boston, he would have to come to ABT as a soloist, a change he would have to think over, Cirio said. While Cirio said the transition from Boston to New York was difficult at first, especially having to leave his old company behind, he said once he got settled at American Ballet Theatre, he began to feel at home there as well. Cirio was featured in several performances with ABT as a soloist during their spring 2016 season at the Metropolitan Opera House in New York. When the season ended, he was promoted to principal dancer. For Cirio, a typical day at the American Ballet Theatre begins with class at 10:15 a.m., which generally goes until 11:45 a.m. Following class, dancers warm up for the day before starting again at noon. Various rehearsals take place throughout the day until 7 p.m. Though Cirio said there are many physical and emotional challenges when it comes to being a dancer, it is his passion for it and the reward that continues to drive him to do it. Cirio makes time during the summer to manage Cirio Collective, a project he founded with his sister Lia in 2015, for dancers to be able to come together to collaborate and perform outside of the world of dance politics. Lia Cirio said that working with her brother closely on Cirio Collective and watching him grow throughout the years as a dancer has been an honor. His quick transition from soloist to principal dancer at ABT was no surprise to her. On being the first Filipino-American male promoted to principal dancer at ABT, Cirio said he does believe that it is important for the world of ballet to progress from what it used to be perceived as.